Supporting women in pursuit of their hunting and fishing heritage, Amanda Lynn Mayhew founded Range Day, Take Me Hunting and Take Me Fishing Outreach Programs, designed to help new hunters and anglers get out there and get started in their adventures. Mayhew is the popular TV host of “Just Hunt.” With several events scheduled for 2018 in Canada, Mayhew will be onsite and ready to inspire and instruct. Mayhew originally founded the Ontario Women’s Hunting Association in 2011. Her message quickly reached outside of that province and across Canada. “Participation in activities outdoors provides you with the opportunity to expand your horizons and learn valuable life lessons. Throughout various events, we want you to be able to have fun and enjoy the outdoors with your peers, but at the same time lay a solid foundation of skills and knowledge which you may build on for the rest of your life. The ultimate goal for this program is to provide an opportunity for you to get outdoors, learn about your heritage and carry it forward,” said Mayhew. Women of the Outdoors – RANGE DAY is a program designed by Mayhew in 2011 after noticing the changes in an increase of women wanting to get out and get started and not having a mentor or place to be able to try firearms. Each event has a limit of 30 girls so that one-on-one mentoring is more personalized. Range Day allows you to try your hand at pistol, shotgun, rifle and archery, no license required. Take Me Hunting provides a variety of outdoor skills. Take Me Hunting is hands-on hunting with getting out on the field and being successful on your hunt, introducing specific hunts. Including tagging, processing and butchering. The Take Me Fishing program applies skills instruction for successful angling. Check Mayhew’s Facebook page for Ontario Women’s Hunting Association, to learn more about skills and to share photos and adventures. This is one tough outdoorswoman and a product of Northern Ontario, from a small town called Manitouwadge. 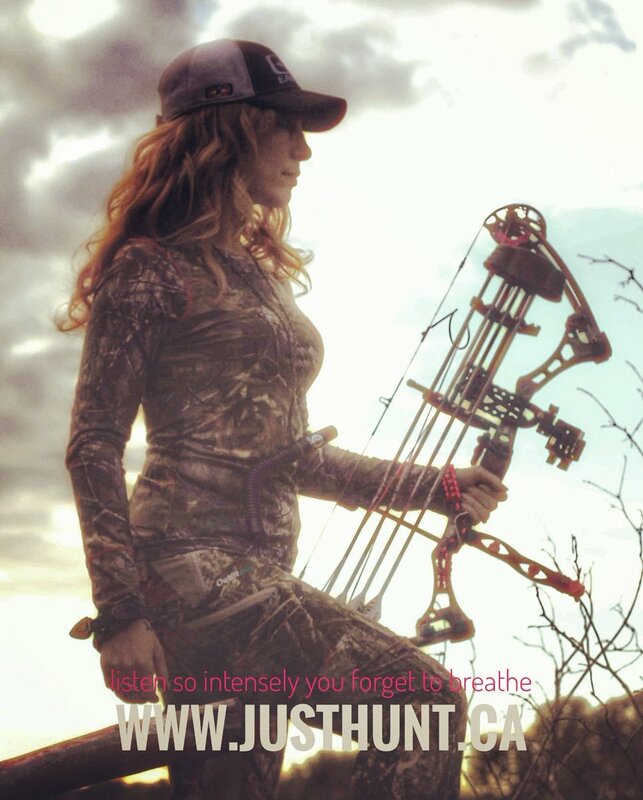 Amanda Lynn Mayhew now resides in Southern Ontario and is the host of “Just Hunt” TV, which airs on WILD TV. 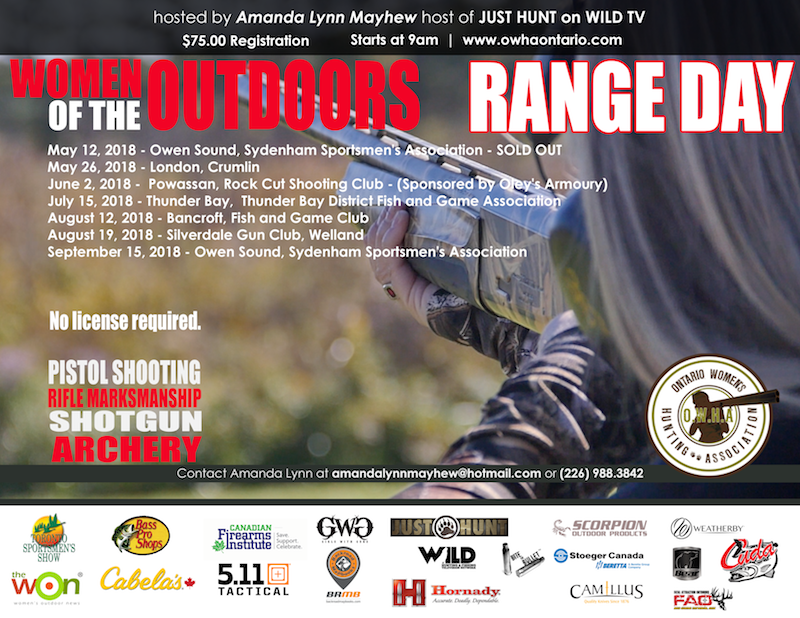 Mayhew is the official Ambassador and Host of the Great Outdoors Stage for the Toronto Sportsmen’s Show. She has a growing social media following that has a fan base that trusts what she recommends and women that watch her show, participate in her events, purchase what she introduces to them – proving that what you are introduced to, you remember.